Yesterday we discussed my (and Mudpie's) disdain for the summer season. There is, however, one event I look forward to every July. I'm ecstatic that this weekend alone is the Hallmark Keepsake Ornament premiere, Gold Crown Christmas Week on the Hallmark Channel, and three days of Christmas in July savings on QVC! 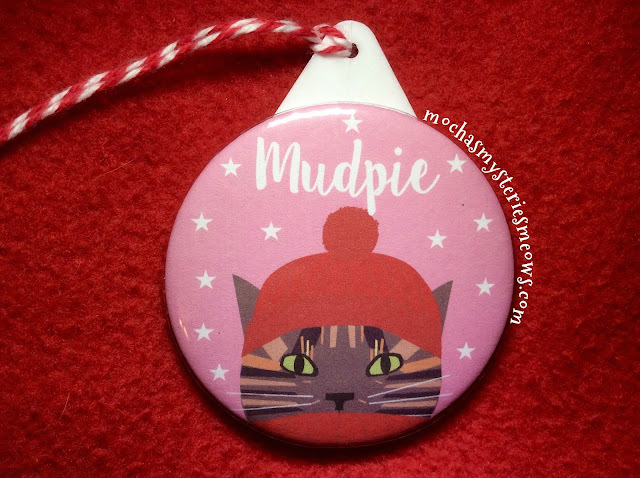 Confession time: I already bought my first new Christmas ornament of the year earlier this spring, a personalized tortie ornament from JayneyMac on Etsy (you can also choose a black and white cat, black cat or tabby). When I saw that a tortie was one of the choices I nearly fell off my seat! I'm constantly complaining about the lack of tortie-related finds. 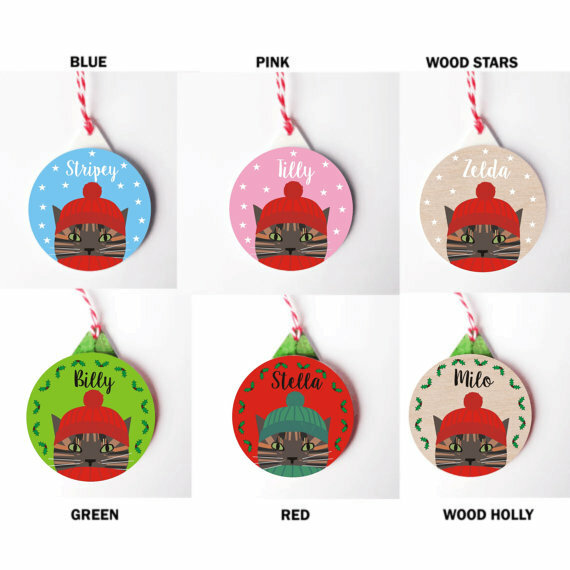 You can also pick from 4 different colors and 2 wood textures, with either a holly or star background. The ornament ships from the UK, is just over $10 with shipping, and arrived in less than a week. Oh, is it Christmas yet?!?!? That ornament is too cute for words, and now I want me some winter. That is so cute and a good price. My hubby collects the Star Trek ones from Hallmark. GASP!!! There's a black and white kitty AND a tabby? OH! We have to get these for Christmas gifts for Mommy! Your Mudpie ornament is adorable. Cute ornament. We keep Christmas lights up in our kitchen and living room all year. They go good with the Easter Peeps and Valentine hearts. We love these ornaments...and definitely will check them out. The mom leaves one star ornament out all year round because she says you have to have a little Christmas every day.